This loveseat flaunts an elegant design style that you're sure to fall in love with - especially when you consider the affordable price point. Features include the showood trim and classic rolled arms, both staples of traditional design. Purchase the entire collection for a matching look and complete it with a coordinating coffee table set. The Claremorris Loveseat with Traditional Style by Benchcraft at Michael's Furniture Warehouse in the San Fernando & Los Angeles area. Product availability may vary. Contact us for the most current availability on this product. Fabric Options This collection is available in the upholstery option(s) shown. This collection is packed full of traditional style; making it the perfect group for a living room that is all about elegance. 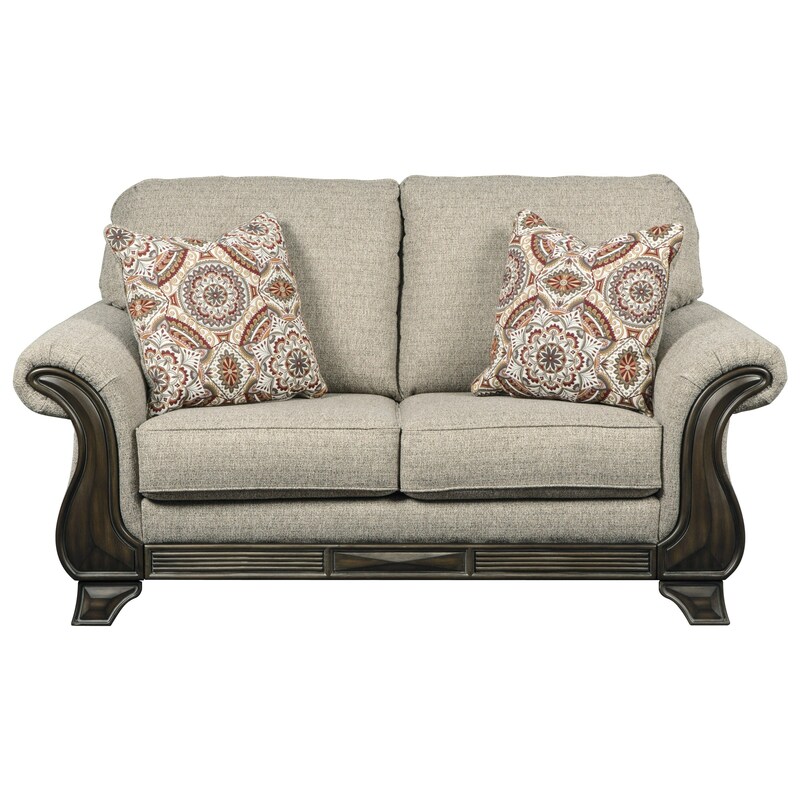 While a neutral toned upholstery and patterned accent pillows work together to create a soothing color combination, carved showood trim provides a romantic element of detail to each piece. The Claremorris collection is a great option if you are looking for Traditional furniture in the San Fernando & Los Angeles area. Browse other items in the Claremorris collection from Michael's Furniture Warehouse in the San Fernando & Los Angeles area.